Rubber Sheet Lining is the skilled application of un-vulcanized rubber sheeting to prepared metal surfaces. 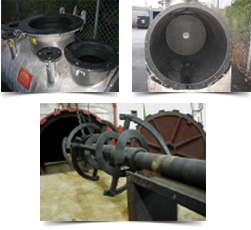 These lined items are then vulcanized in a steam autoclave, bonding the rubber to the metal surface to create a durable and resilient protective rubber coating. 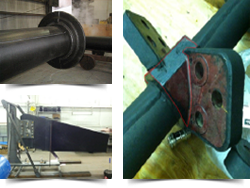 We provide each customer with an application that is specific to their needs and equipment, to create a durable rubber lining that improves the life of the equipment and other service applications. We help the Energy Industry remove particulates by applying rubber sheet lining to the internal working parts of slurry tanks.